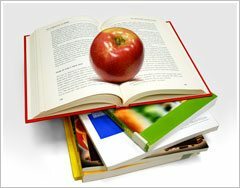 Early registration for “Nutrition and Personal Health Coaching”, a university-level course designed by the Department of Nutrition and Food Sciences at Texas Woman’s University (TWU), with input from Mannatech scientists, is open at $100 off the regular price until December 30, 2011. While similar courses typically cost around $1,500 or more, TWU is offering this extensive training for only $525. The preregistration cost is thus only $425. This unique, science-based, online course meets the growing demand of both health professionals and members of the general public who want to learn more about health and nutrition and discover how to implement this knowledge in realistic ways into their daily lives. It is taught by highly qualified members of the TWU faculty, including Dr. Chandan Prasad, Professor and Chairman of the Department of Nutrition and Food Sciences at TWU, who spent several years at the National Institutes of Health, was a Professor and Vice Chairman in the Department of Medicine at Louisiana State University, has authored/co-authored more than 200 papers in the area of nutrition, and holds three U.S. and international patents. The 45-hour course also includes a guest lecture from Dr. Rob Sinnott, Co-CEO and Chief Science Officer at Mannatech, about the Dietary Supplement Health and Education Act of 1994 (DSHEA). Upon successful completion, participants will earn a Certificate of Completion of Training as well as continuing education credit hours. Talented undergraduate and PhD-level students at TWU will also benefit: the majority of the proceeds from the class will be used to fund research scholarships to deserving recipients. To register, please go to the TWU website.